Did you know that South Africa was the ground zero for the formation of many of the worlds most prestigious veterans organisations and charities, including the likes of The Royal British Legion and the Royal Canadian Legion? This historic photo below was taken in Cape Town when the Royal Commonwealth Ex Services League was formed (then known as the BESL) in 1921. The three founders – Field Marshal Haig went on from this meeting to start the Royal British Legion and Field Marshal Smuts and General Lukin went on to form The South African Legion. Also formed at this land-mark meeting was the beginning of The Royal Canadian Legion. After suffering the horrors of war in France and Flanders thousands of men who fought on the British side in World War One underwent incredible hardship once they had been discharged from the armed services and returned to civilian life. Realising the serious plight in which men found themselves, these three prominent soldiers : Field Marshall Earl Haig, General the Rt. Hon. 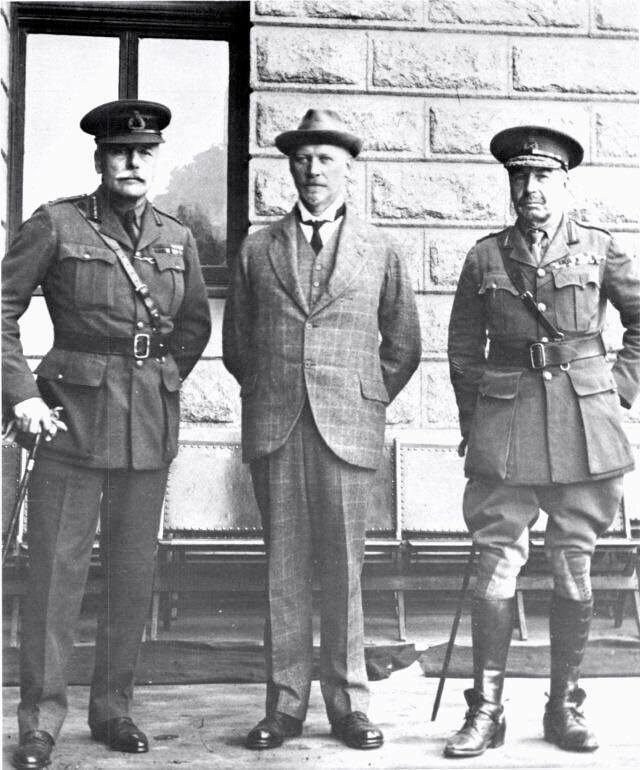 J C Smuts and General Sir H T Lukin founded the British Empire Service League (BESL) The inaugural meeting was held in the City Hall, Cape Town on 21 February 1921. The South African Branch was titled ‘British Empire Service League (South Africa) but in April 1941 in deference to the pro-war and anti-war factions in the country the name was changed to the ‘South African Legion of the BESL. In 1952 it was again altered, this time to the South African Legion of the British Commonwealth Ex-Service League. Originally in Bloemfontein, the Headquarters moved to Johannesburg in 1942. The aim of the BESL was to provide care, employment and housing. In South Africa the Legion was equal to the challenge. It built on the foundation and continued this good work after World War Two. Thousands of men and women have been assisted in all manner of means and this work carries on to-day. Former National Servicemen and those who were part of the Armed Struggle are assisted with advice and direction. Towards the end of World War Two the Legion launched several housing schemes in various parts of the country, including housing projects for coloured and black soldiers. A large social centre and chapel in Soweto is a good example. When the Government lifted the ban on Black people owning property, veterans living in over 200 homes built by the Legion in the Dube and Moroka districts of Soweto found themselves entitled to acquire their homes on a 99 year leasehold. From the beginning the Legion established a close liaison with Government Departments, which fortunately still exists, although there have been times when relations were strained. A major clash took place when the Legion reacted strongly in 1956 to the Government’s move to ban Black and Coloured veterans from Remembrance Day Services. Successive governments have enlisted the help of the Legion when drawing up war pension legislation and Legion representations have made a significant contribution towards making this legislation among the most generous enacted in the world. The fight to obtain parity of pensions for all – white, coloured and black veterans was finally won in 1986/87. It had been a long battle. One of the Legion’s major undertakings is securing pensions for South African post-war disabled servicemen, It also undertakes investigations on behalf of the RCEL in respect of assistance requested by other Commonwealth ex-service personnel who reside in South Africa.